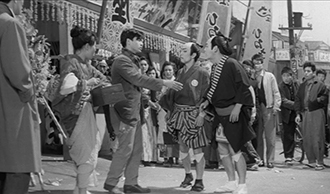 This lecture takes a closer look at the contents and reception of Imamura Shohei’s early films, investigating their relation to critical and popular understanding of Imamura’s own directorial persona. For more details, please check the Japan Society website. Jennifer Coates is Senior Lecturer in Japanese Arts, Culture, and Heritage at the Sainsbury Institute for the Study of Japanese Arts and Cultures. She is the author of Making Icons: Repetition and the Female Image in Japanese Cinema, 1945-1964 (Hong Kong University Press, 2016). Her current ethnographic research project focuses on early post-war film audiences in Japan. Jennifer has been a Kluge Fellow at the Library of Congress, Washington D.C. (2012), a Visiting Research Fellow at the Australian National University (2011), and a Hakubi researcher at Kyoto University (2014-2018).